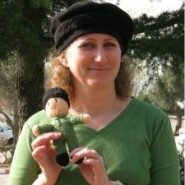 I can’t get over how GOOD JewishMOMs are…Just look at this JewishMOM from Efrat whose knitting group started a project that has brought in over 18,000 hand-knit hats for Israel’s soldiers! Got all teary and smiley watching this, G-d bless JewishMOMs and G-d bless and protect our soldiers! Special thanks to JewishMOM Tamara Laufer for sending this my way. i have been zoche to knit four hats for our soldiers so far—and i live in America! one of my knitting friends (who recently made Aliyah) got me started on this wonderful mitzva. i am a beginner knitter, and found the instructions easy to follow. i encourage everyone to knit a hat for this project. it is one of those acts of chesed where everyone benefits. can you post a link to where to find the directions and where to send the hats etc?